Inbound marketing for medical practices is no longer an option. It’s a necessity. Physicians regularly use smartphones and tablets, with 80 percent even turning to Google and other search engines for help with diagnosis, treatment and ongoing care. Eighty percent of patients use both online and offline searches to locate hospitals, while 44 percent of patients who search hospitals on mobile devices end up scheduling an appointment. Your practice is at a disadvantage if you’re not engaging in inbound marketing, and these seven trends can provide inspiration to help get you started. Augmented reality (AR) and virtual reality (VR) are already in play in marketing, and both are expected to continue to evolve into larger roles. Healthcare organizations can turn to AR and VR technologies to improve training, learning, productivity, and consumer engagement. AR is at the heart of several patient apps, with one that helps people find the nearest defibrillators based on the user’s current location. Another AR app showcases how a drug works within the body using 3D imagery. Voice searches make up 20 percent of mobile queries on Google, and that percentage is only going to rise as more people get used to using their voice to activate processes that bring desired results. 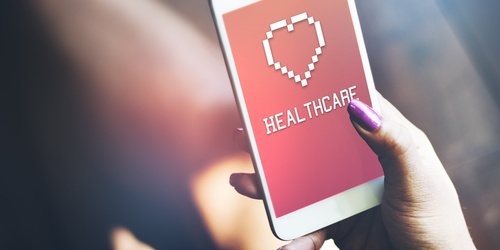 Healthcare organizations that want to make the most of voice search can prepare by developing content able to capture voice searches related to the practice’s services, location, procedures and related information. Personalization is poised to become second nature for inbound marketing, hitting all stages of the sales funnel. Using consumer data to ensure every interaction is hyper-targeted and personalized is expected to be critical for digital marketing’s future. Personalized landing pages for patients is one way medical websites can take advantage of the trend, providing information, product and service recommendations based on a patient’s individual needs. Loyalty and rewards programs are moving beyond providing discounts for a single brand or provider, but for rewarding overall behavior across an entire platform of brands. Rather than earning Nike points to use on Nike products every time you run, for instance, the trend is pointing towards earning general fitness points you can then use toward any participating fitness brand. Health-oriented behaviors can be rewarded in a similar way by collaborations of wellness and medical organizations. Even more personalized rewards can be offered, thanks to loyalty program’s ability to gather consumer information with every purchase or documented behavior the consumer makes. As attention spans continue to decrease, video is becoming the most influential and popular form of digital marketing content. Savvy marketers are using video content to improve engagement, increase search engine rankings and boost website traffic. Video can be particularly useful in healthcare marketing for explaining complex processes or procedures. Professional live video is another digital marketing tactic that’s expected to explode. Social media platforms have launched live video options, and smart digital marketers are following suit. Professional live video can connect healthcare practitioners directly with their audience, providing an urgent, interactive and exclusive experience. Artificial intelligence (AI) in marketing is predicted to grow by more than 50 percent by 2020. Industry insiders see machines taking on duties that range from writing business content to further streamlining and automating marketing processes. Adobe predicts machines will eventually start making strategic marketing decisions. Software will first be able to analyze data to create segments, create custom company targeting perceived personas, then launch and stop marketing campaigns. In the interim, healthcare organizations can take advantage of AI by automating marketing functions and considering the use of AI live chat to improve service for online visitors. While each trend certainly serves as medical website design inspiration, don’t feel you have to rush out and try to implement them all at once. Digital marketing success doesn’t come overnight, but rather from ongoing efforts that support an overall strategy for building stronger relationships, increased trust, and greater patient engagement. Get a jumpstart on the engagement process by downloading our Patient Engagement Toolkit.